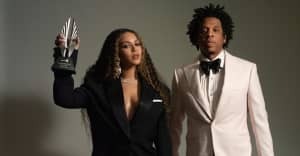 Last Friday, Beyoncé closed out the Formation Tour with a bang at New Jersey's MetLife Stadium, with help from Jay Z, Kendrick Lamar, and FADER cover star Serena Williams. The tour was obviously a smash, but today Billboard Boxscore offered up some numbers to quantify just how impactful it really was. Over 49 shows, the tour grossed $256,084,556, and sold around 2.2 million tickets. Broken down on a show-by-show basis, the tour averaged $5.2 million in gross and 45,757 paid attendance. The highest grossing date award goes to a pair of July sellouts at Wembley Stadium that grossed over $15 million, while the highest-grossing U.S. date was at New York's Citi Field, with just over $11 million. Full story here via Billboard.